I'm passionate about endurance sports coaching and the balance of improvement and enjoyment in sport. 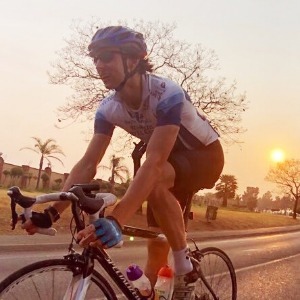 My strength and specialisation is in road cycling, but I partake in and offer coaching in triathlon, mountain biking, road running and trail running too. I work with all skill levels, from novices to professional athletes. Monthly packages are based on interaction and your goal, but once off services are available too. Please get in touch to see what will suit you best. Hi, I'm Matt. I've had a long relationship with cycling, and have long held a passion for sports physiology and performance coaching. I studied Human Movement Science and Exercise Physiology many years ago in my varsity days, during which I was intensely into my own training and racing. I believe it's relevant to my coaching experience and sports journey to share that I had a complete burnout age 23, and quit the field altogether. Retrospectively, I attribute this largely to my lack of external coaching. As a young man with big aspirations and a solid foundation of exercise physiology knowledge, I coached myself, but was so caught up in my progress that I could not look at my own performance, fatigue, health and motivation objectively. My own training and experience really helped me to understand the importance of having a coach to work with you towards your goals. Equally it cemented my belief in the importance of enjoying your sport. I re-entered the sport in 2018, through the coaxing, and pushing of a great friend who saw that I was missing it. After a few coffee rides with "no intention to get serious", I found myself out on the bike every sunrise and feeling a drive to improve. Here I am a year later, training to return to racing (age group though), and coaching cyclists, runners and triathletes, with goals varying from winning races to just completing them. I hope and believe that I can help you build your goals and keep balance and enjoyment in your sport. I only require that you have (or are prepared to buy) a heart rate monitor; and can tell me what you'd like to achieve, and what hours you'd like to put into your training. Success. Coach Matt Beckett has been notified of your message.